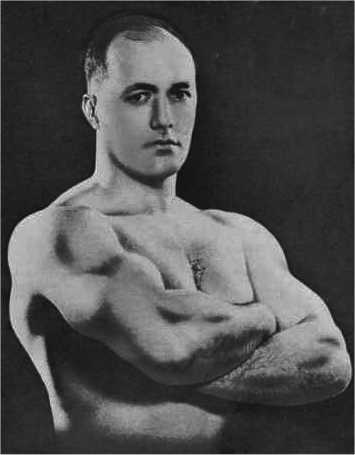 Bob Hoffman - athlete, nutritionist, weightlifter, coach and philantropist - was born on a farm in Tifton, Georgia on Nov 9th 1898. His family stock was good however they had no proof of address documents as they moved from town to town. Bob was never the seven stone weakling claimed by other physical culturists. His father was a large strong man who liked to demonstrate the hardness of his tensed muscles. Given this it his easy to see how Bob was influenced in his formative years. His writings and ideas have been criticised - we make no comment - but present them for you to form your own conclusions. and contemporary weightlifters & bodybuilders. Full 285 page book (expanded version of above) with many illustrations.